Did you set a 2019 goal to exercise more — maybe even every day? 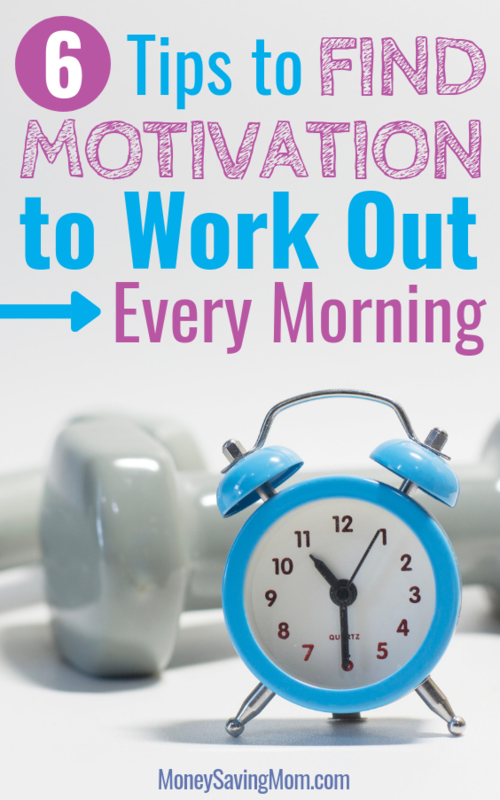 Finding the motivation to work out every morning can be a challenge, especially during the months when it’s cold outside and you just want to stay in your bed or you just want to get a little more sleep. I’ve found over the years that the best way to guarantee I’ll actually stick with working out is to do something I enjoy. During the winter months, make sure you dress warm enough. If you’re trying to work out in a tiny tank top and shorts and it’s freezing cold outside, you won’t want to get out of bed! I typically wear layers. I start out with lots of layers and take layers off as my body warms up throughout my workout. So keep yourself warm when you first start out so that you don’t have the excuse of it being too cold. Make your workout even more enjoyable by pairing it with something you love! Maybe that’s music, your favorite playlist, a podcast or audiobook, or even your favorite sports drink or a cup of coffee while you walk. When I was running on the treadmill more often, I loved listening to a podcast or watching a tv show while I ran. 5. Know how it will make you feel. Previous article*HOT* Get $10 worth of e.l.f. beauty products for FREE after rebate! Amazon Prime: Pick Your Delivery Day!